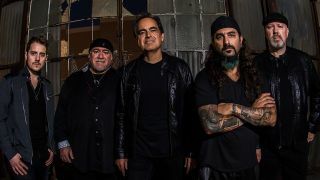 The Neal Morse Band have released a lyric video for their track Vanity Fair. The song will feature on the band’s new album The Great Adventure, which will launch on January 25 via Radiant Records/Metal Blade. The group previously released the title track, along with Welcome To The World and Welcome To The World 2. "It’s described as the “perfect companion piece” to the last record, which was a partial retelling of John Bunyan’s The Pilgrim’s Progress and fuses rock, metal, classical and jazz elements. Morse said: “This band continues to amaze me! I have to say it was a little daunting to follow up The Similitude Of A Dream as it was such a special album and it delivered every night at our concerts, but I believe that The Great Adventure will have a tremendous impact as well. Morse is joined in the lineup by drummer Mike Portnoy, bassist Randy George, keyboardist Bill Hubauer and guitarist Eric Gillette. The Neal Morse Band will head out on the road from next month in support of the record.